These Stainless Steel Gantry Cranes are an ideal choice for pharmaceutical, food processing, and cleanroom lifting. With a superior Stainless Steel construction, these cranes are highly corrosive resistant and built to last. 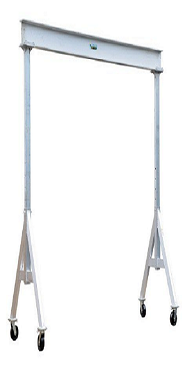 With both stationary and adjustable models, there is an array of Stainless Steel Gantry Cranes to choose from. Please call for more information and pricing.